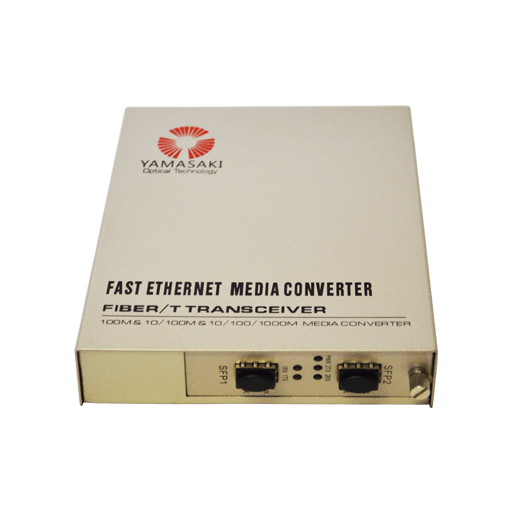 The Yamasaki C401 Series 2x 1000Base-FX SFP Media Converter is often used in pairs to convert a Multimode signal to a Singlemode signal of your choice. The SFP slot can handle any type of 1000BASE SFP whether it be Multimode, Singlemode with the longest transmission distance of multi-mode being 2KM and the longest transmission distance of single-mode being 120KM. The innovative LED indicators can display data transfer rate, packet movement, connection status, full duplex and power status at a glance for added ease of use. The C401 Series media converters have two universal SFP slots and a strong aluminium outer housing, providing excellent heat dissipation and are usable stand alone or rack mountable.